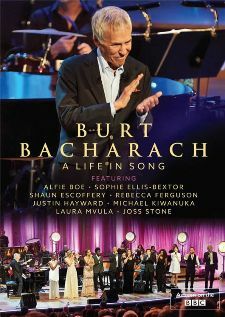 Starring Burt Bacharach, Michael Grade, Alfie Roe, Sophie Ellis-Bextor, Shaun Escoffery, Rebecca Ferguson, Justin Heyward, Michael Kiwanuka, Laura Mvula, Joss Stone, Josie James, Donna Taylor, John Pagano, The Burt Bacharach Band and Senbla Concert Orchestra. Distributed by Eagle Rock Entertainment. 111 minutes. Not Rated. Any list of the great songwriters of the 1960s have a certain group of usual suspects � Lennon/McCartney, Dylan, Smokey Robinson, Paul Simon. Right up at the top of that list is the songwriting and arranging team of Burt Bacharach and Hal David, whose smooth and surprisingly complex music and arrangements pretty much created an entire musical style. Bacharach and David may have been a little less visible than some of those names, because they did not sing their own songs, preferring to use a revolving stable of singers including Tom Jones, The Carpenters, BJ Thomas, Herb Alpert, Jackie De Shannon and particularly Bacharach's muse, Dionne Warwick. Together, they put together some of the most melodically complex and yet spectacularly evocative singles of the decade � as well as putting together an original sound which was unmistakable. Their songbook includes some of the most perfect songs of the decade, including "Walk On By," "I Say A Little Prayer," "Always Something There To Remind Me," "What's New Pussycat," "The Windows of the World," "(They Long To Be) Close To You," "Do You Know the Way To San Jose," "Promises, Promises," "The Look of Love," "Raindrops Keep Falling On My Head," "This Guy's In Love With You," and many, many more. Bacharach also continued to have hits periodically over the decades later with other lyricists, including Carole Bayer Sager and Elvis Costello, including such classics as "That's What Friends Are For," "On My Own," "God Give Me Strength," and "Arthur's Theme - The Best That You Can Do." Bacharach's reminisces on his work and his method are always intriguing � although I wholeheartedly reject his perpetuating the popular myth and making the suggestion that Aretha Franklin's version of "I Say A Little Prayer" is a better take of the song than Dionne Warwick's near-perfect original recording � and give a little insight into the creative process of a musical savant. There are also some surprising revelations � who knew that Bacharach was an aspiring football player before finding his way into songwriting? � which make the interview segments more than just a buffer for some spectacular music. Musically, this is just about perfect, some of the most perfect pieces of songcraft from the last century being lovingly shared. Unfortunately, being a new millennium of singers, some of the performers have the tendency to over-sing these delicate melodies (which is, by the way, is exactly the reason that Warwick's "I Say a Little Prayer" smokes Aretha's overblown cover), but these are some iconic songs, mostly sung extremely well. Occasionally the arrangements have a little bit of a Vegas-y feel, particularly on the movie medley in which each of the songs is worthy of a whole performance, not being smashed together. However with a huge, iconic songbook, this special could have gone on for hours if they tried to pay tribute to all the worthy music which Bacharach has created. 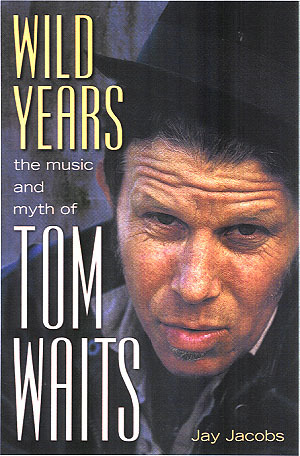 A Life in Song is a terrific tribute to a one of the most distinctive songwriters and arrangers of the 20th Century. Copyright �2016 PopEntertainment.com. All rights reserved. Posted: March 6, 2016.